Dale Gaucas is the creator of The Solution, which is a powerful trading programme he calls "Controllers' behavioural response". His system and strategy will fast-track your trading, learning and returns. To succeed in any industry, you have to know what the controllers do and when. "Because of my relentless nature and a bit of luck, I now have access to the same system and strategy that the banks and hedge funds have been using for years. Now I have turned the table! Anyone can use it!" 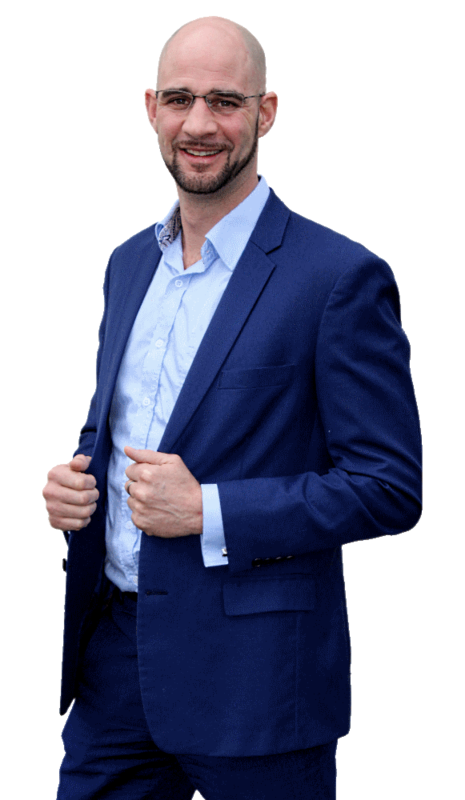 He is one of the most sought after trading consultants and mentors in the UK. To succeed in any industry, you have to know what the controllers do and when. "Because of my relentless nature and a bit of luck, I now have the same system and strategy that the banks and hedge funds have been using for years. I never really understood the “about me” pages. It’s about the owner of the business written by someone else, but it’s actually the owner who wrote it. No wonder I never understood it! I left school with no formal qualifications, so instead of trying to sound smart, I’m going to write this “about me” page as a letter to a friend. Which… in many ways, it is. I’m 36 years old. I live in the North of England with my wife Jaclyn. We have two children, Holly and Dylan, and four dogs, Maisie, Buddy, Miley and Bruce. For 52% of you, the answer is NO. For some reason, most people think trading the markets means to get rich quick. I 100% understand why. That’s what brought me to trading in 2009. I thought it would be easy money and I’d have thousands coming in every day. I do have consistent profits coming in every day… often while sleeping… but it took lots of work, mistakes and commitment to get there. So if you’re not willing to fully commit in a short term and put more effort in (roughly 10x more than you were expecting), it’s not for you. If you don’t want to learn, you’re not going to enjoy my stuff. No, I don’t sell signals, expert advisors or any of the other noise on the market. But here’s why I’m telling you this. Start going down the trading “rabbit hole”, and you’ll see all kinds of promotions and articles about easy money, how to get rich by having other people trading your money, and all kinds of hype on the latest scam. Maybe. In the short term. But if you rely on that to make money, you’ll soon lose it all and will be no better off, financially or knowledge-wise. And that it was all a waste of time. If you want to waste time go and waste it on your terms. It will probably be more fun. Are you looking for “The Easy Way”? It’s important you learn and understand why I am saying this. I’m capable of it, but it would not support your personal development and thus help you in the long run. And that really translates to “I don’t want to learn”. Look, making money trading the financial markets is NOT an easy task. Yes, when you’ve learned what is needed, it can be just like you imagined: Passive revenue and money while you sleep. But that takes DEDICATION to learn and COMMITMENT to maintain. Can you believe I just told you flat out that you’re going to receive a sales pitch from me? I mean – I’m a “trading mentor”. Your success is of course a must for us, but it’s business. I want you to buy it and come on board with us and I won’t be subtle about it. Because once you understand and see The Solution, your mind will not allow you to go back. Why wouldn’t it work? I treat others how I would like to be treated. Is This Stuff Any Good For Me? Well, the smartest thing to do is to go and take a look on The Solution itself. If you like it, then book a call with me. If you don’t like it, don’t. I started my first business in 2002 in a construction industry (that’s why you might still find my pictures with a hard hat on Google, haha those were the days). The risk was too high and the reward was too low. It was 2009 and I came home late from work one night and did an Internet search for “online trading courses” and came across a trading company in London. I was probably on the phone with them for at least 3 hours before I bought it. It was a good course, it took 6 months to go through, but to be honest I had to travel up and down to London. If it were online, I could have completed it in a month. And it was filled with hot fluff, things like: “You can make 6% a day…”, which translates to 1518% a year. My 28 year old brain was telling me, “You’ll get rich really fast” …which is exactly what I wanted. This was before I learned what I know now. Anyway – some of it worked. Kind of. I did make some money. But nothing write home about. Anyway – by pure relentlessness, I sought out the greatest minds on this planet and it was my job to figure out this trading game. I found masters among traders that had been trading in some of the largest banks in the world, learned from them. Now I knew what the banks knew, and was blown away. My new found knowledge become The Solution. And after seven years of trial and error, I’ve finally cracked the code! I’ve assembled the best team in the land to code the same methods that the banks have been using for years, into an indicator. The Exchange indicator was born. I was trading with this for two years now. When I made 16% in a single month, I knew it was time to start teaching people. And that’s how I got my start as a “trading mentor”. At this present moment, I only work with dedicated and committed individuals. My main focus is to help you understand that trading is simple but purposely confusing. I’m the creator of something called The Solution. I think the name says it all. The banks call it The Holy Grail. I do this without you risking a single penny in the markets. Go to my page, watch the video about The Solution. If it resonates with you, book a free consultation call with me. If I can help you, consider buying my stuff when I make you an offer. How about no more hard selling anymore?